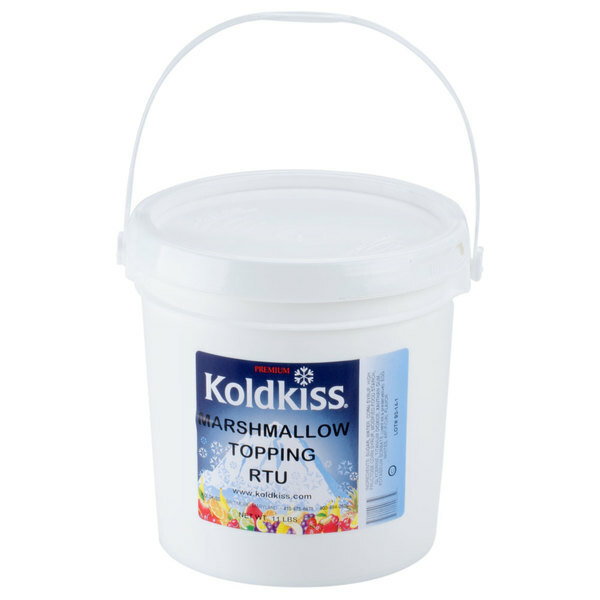 Make delicious marshmallow treats with the Koldkiss Marshmallow 11 lb. ready to use snowball topping. Perfect for your snowball stand, bakery, or ice cream shop, the thinner consistency of this marshmallow topping makes it incredibly easy to work with. Use it to top frozen yogurt, coffee, snowballs, or snowcones for guests to enjoy. Its smooth, velvety texture and vanilla-like taste is also ideal for making milkshakes, ice cream sundaes, fruit dips, or sugary sweet marshmallow frostings! "This brand tastes amazing. I put this on everything. It goes great on the coffee we sell as well as snowballs and snow cones. It even tastes good when its on a spoon. Thanks for such a great product and price." Thinner and sweeter than regular marshmallow creme, this ready to use topping is perfect for creating snowballs. Different from snow cones, Italian ice, and Hawaiian shaved ice, the snowball is a one-of-a-kind dessert that features more finely-shaved ice. Simply pour your flavoring syrup on top and add a dollop of this marshmallow topping! This convenient, ready to use marshmallow topping does not need to be mixed with water and does not require refrigeration. Thanks to the resealable lid, you can lock in freshness and save unused product. 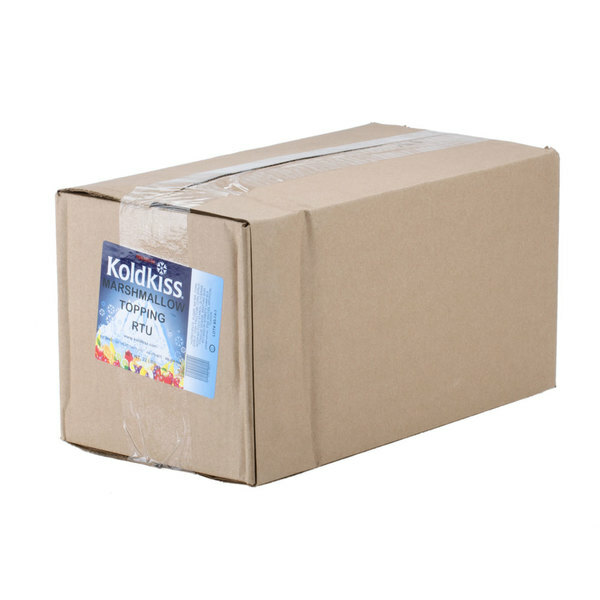 Item #: 711MKK17 Koldkiss Marshmallow Creme - 17 lb. This ready to Use Marshmallow crème is amazing!!! I could eat it by the spoonful! 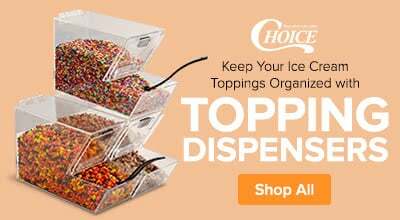 It is the perfect topping and one of our most popular ones on almost any of our yogurt flavors! We wont buy any other kind! The only bad thing about this is how hard the top is to get open, so buy the tool. Other than that the taste is perfect for any topping and people love it. Flavorful taste. This product is a little bit more liquidy then other marshmallow cream products I’ve used in the past. We use it as an ice cream topping. This Marshmallow topping is more flavorful, runny than any other brand we have tried! 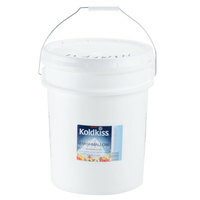 We absolutely love how easy it is to come out and how well it is stored in the tiny 11lb pail. This will last a long time. Our customers LOVE LOVE LOVE this ingredient! We make shakes at our nutrition club which is a healthy meal replacement shake. 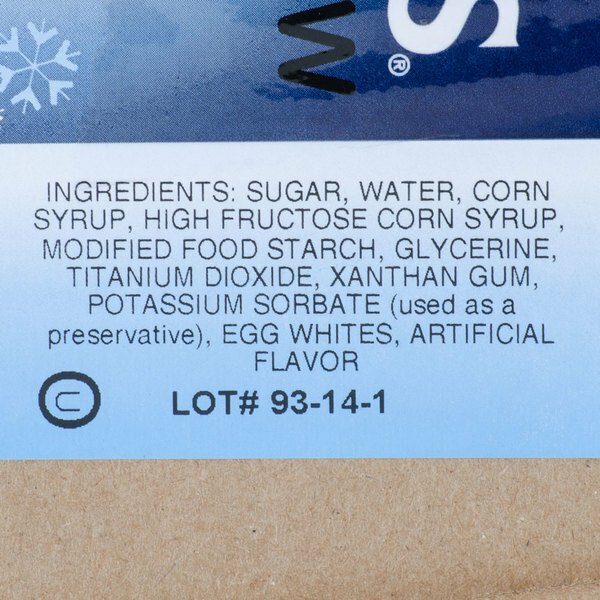 For that reason, we only use this ingredient in one of our regular menu shakes, because it is a higher sugar & calorie ingredient. So we only use a small amount, and you can still taste the great flavor! But we've featured it in some special shakes, and those ones are some of our highest performing specials. It's also our most popular add-in ingredient by request. We also have found that the FIFO thick dispensing valve bottles from webstaurant work perfectly to dispense this with no mess. 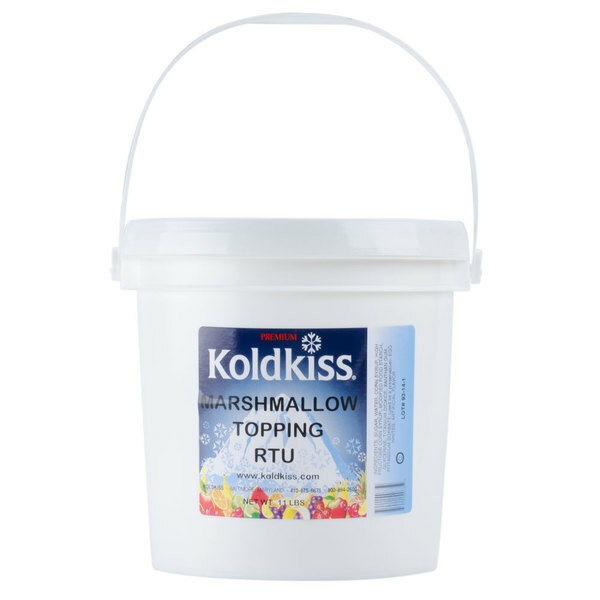 Koldkiss Marshmallow topping has a really great taste to it but the only downside with this product that I found was that it was a little runny. We transfer the marshmallow into squeeze bottles and use as a topping for ice cream. Nice flavor and product is thin enough to squeeze through bottle. If your looking for a quality marshmallow dessert topping this is it. I always keep it chilled, I think it tastes better. It is not overly sweet which I like. Some of the other creams are way to sweet. Here at Niky's mini donuts we put the marshmallow into squeeze type bottle to help us drizzle over the Smores donut. It's also amazing on ice cream. The shipping is always fast and speedy. 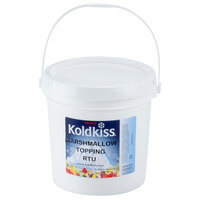 Koldkiss Marshmallow is like marshmallow fluff. It is sweet and light. The consistency is not too thick. It smells great also. The lid is a bit hard to open. Koldkiss marshmallow is ready to use and it tastes awesome!! Works well with baking or even on the kids smores. 2 cases of this awesomness with take you a long way. Love the Koldkiss marshmallow snowball topping for our diner. The topping is great for making our fantasy fudge bites. 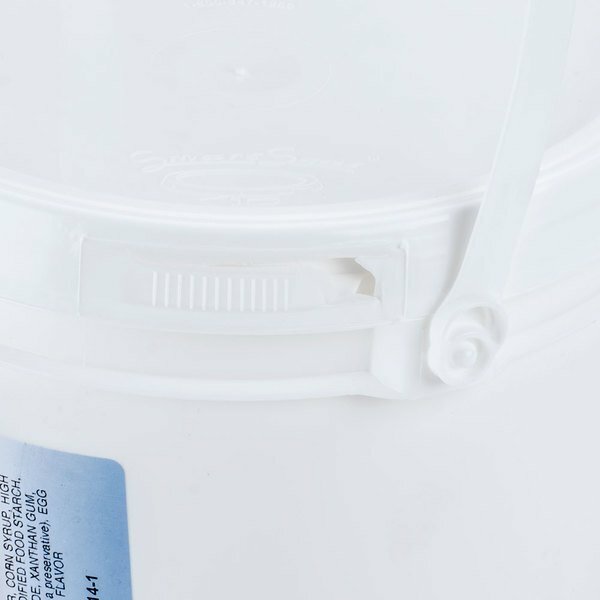 The product is a great value and well packed in a nice pail. Love this marshmallow. It’s has great flavor and just the right amount of sweetness for our desserts. We use this as a drizzle on our desserts and customers love it. Delicious marshmallow fluff. Our customers love to put this on top of their ice cream! We even like using it on our coffee drinks, such as our campfire mocha! These make great snowballs. This actually ended up being a lot tastier than I thought that it would be. I just bought another case of this stuff. 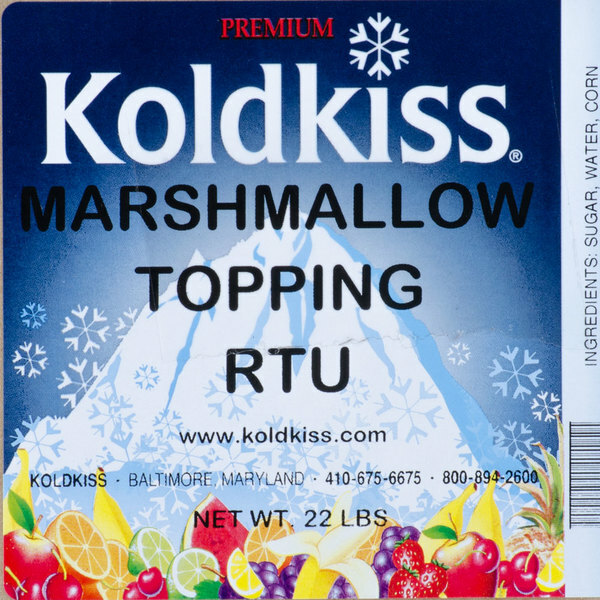 The koldkiss marshmallow ready to use snowball topping is awesome. Love the ease of use of this product and makes a great filling for our cupcakes. The marshmallow ready to use snowball topping is so fun and delicious. The topping is a little hard to handle but it makes a great finishing touch with our sundaes. Great for New Orleans style snowballs. 11 pound pail lasts us a long time. The price is unbeatable for such a large amount we will definitely be buying cases of this. People love this marshmallow cream! We throw it on our shaved ice drinks. Very popular east coast item, so our visiting customers can get enough of it! 11lbs gives you a lot more than I thought it would! A nice size pail of ready to use snowball topping that is great for our gingerbread house decorating competition. The topping works great for snow and for using as a binding paste. Love the big and easy to scoop out of pail. Yummy! The best marshmallow topping for sundaes! We also use it in our fluffer nutter shake. It's a bit thick to use with a pump container but we use a squirt bottle with no issues. A great marshmallow topping that is really easy to pour and handle. A great quality and perfect for making our snowballs. The toppings has great vanilla flavor. I highly recommend this topping. awesome awesome flavor. will order again. the flavor is lightly sweeten and just perfect. easy to drizzle too. we use it as ice cream toppings and mix ins. We bought this syrup for frozen yogurt in our store,it tastes great.our custermas love it very much. Definely will order again. The price is fair too. Very nice topping for frozen yogurt. We were looking for a marshmallow topping that could be pumped or in a squeeze bottle and Koldkiss works great. This marshmallow topping has a very good flavor and is easier to work with and serve than the thick, home made sauce we were using. Koldkiss marshmallow cream is the perfect addition to our New Orleans style snowballs! The flavor is perfect and adds just enough sweetness. This cream is also the perfect consisitency, allowing it to easily squeeze from a bottle, without being runny. Easily one of our kids favorite dessert toppings and when poured into a sealed container or squirt bottle it is easy to handle. The taste is on point and accurate and it is liquidly enough that it doesn't gel or harden. Very nice product that we have added to our kitchen. This stuff is unbelievable!!! It's perfect for our business, but my kids LOVE it at home. They dip fruit in it, cinnamon rolls in it, put it on ice cream. It's PERFECT and MMMMM!!!! !